This patient kitten stands up and patiently stares down a mouse running behind the glass of a tank. Just look at that perfect posture. 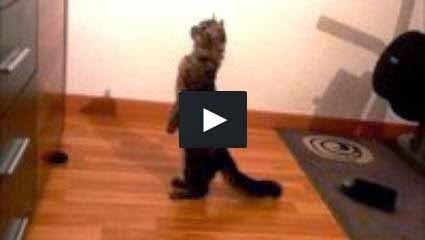 When her owner call her, she stands up like a human.